A real eye-opener on what it's like to work a small cattle ranch in South Dakota. It is not a novel, it's a memoir of a single year. I can hardly believe people willingly devote their lives to such a crushing amount of work. She's an evocative and skilled writer, and takes us vividly along through her daily life. I was fascinated, but couldn't help thinking that the native americans did it smarter. Instead of trying to confine, fence in, and brand the animals they lived off of, they just moved across the land with them. Seems much more sensible, but I definitely left this book with a respect for ranching life. As you can imagine, cattle ranching is hell on both animals and people, especially in the winter. This is written as a true diary but it will hold your attention with all the descriptions of nature and her fury as well as a few family dynamics the author experienced. Lots of accidents, injuries, illness animal death and animal wonder. The author is also a poet and there are several poems between chapters. If anyone is interested in reading a few excerpts I will transfer some for you here if asked. This journal of a year in the life of the author left me feeling amazed at the strength of ranchers in the Great Plains. I am very glad I had the chance to meet the author and hear her speak first hand of her experiences. I would never have known of this book had I not. Their daily struggle with nature can only be handled by a certain type of people and I pray that they continue to be part of the fabric of this country or we will all be affected. 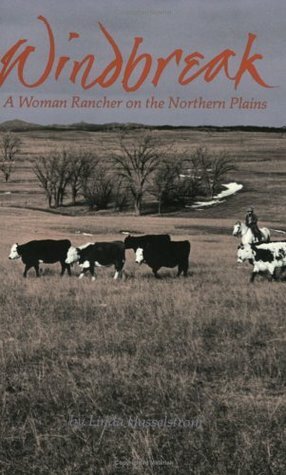 The diary of a modern day ranching woman in South Dakota...It had potential initially, but the day to day descriptions of calves being born, dying, cows becoming ill, or stuck in various places--it just all wore me down. Good book. Interesting to learn how different farming (sorry, "ranching") is in the west. Strengthens my discomfort with eating beef and--at the same time--my respect for family-run operations. It's a hard life. Too hard for my taste, for sure! Depressing! Reading it in February in Minnesota may have influenced me.